Amy McGarvey and Esther O'Kane doing a pony trek from Malin Head to Mizen Head in aid of Donegal Hospice, Forgotten Horses Ireland and Animal Haven Animal Rescue. 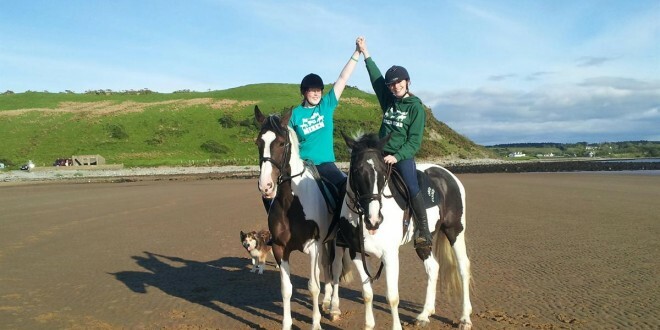 Two Donegal women are trekking through Galway and Clare on Wednesday making their way on horseback from Malin Head to Mizen Head in aid of three charities. 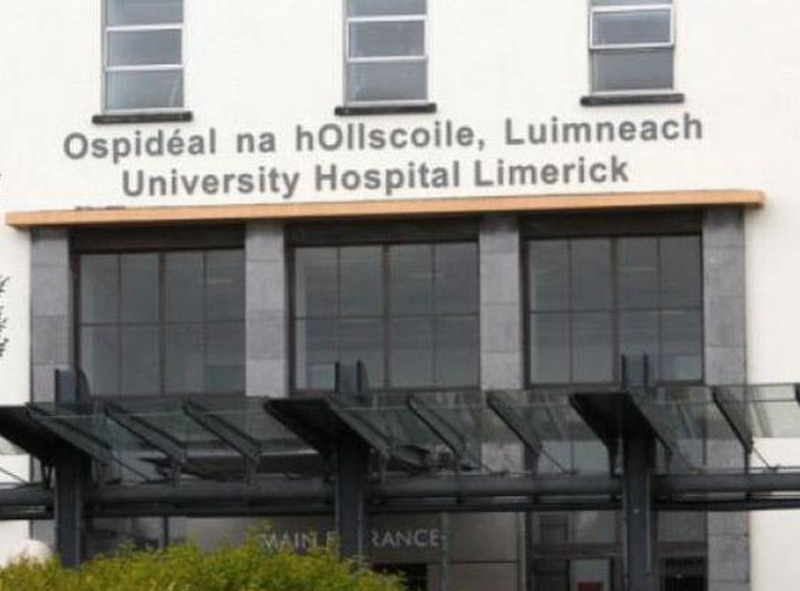 Friends Amy McGarvey and Esther O’Kane are in Gort from 2pm to 2.30pm, will be in Crusheen an hour later before arriving in Ennis between 3.50pm and 4.30pm. The women and their horses will have a bucket collection in Newmarket on Fergus between 5pm and 5.30pm before concluding this leg of their week-long trek in Shannon between 5.45pm and 6.15pm. The pair will be back in the area on Sunday when they attend the Forgotten Horses family fun day in Labane on Sunday. Amy is an equine management student in Enniskillen while Esther own’s her own business Tip Top Horses. The two began their trek from Malin Head to Mizen Head on Monday, raising money for the Donegal Hospice, Forgotten Horses Ireland and Animal Haven Animal Rescue. A casual chat between the equine enthusiasts lead to the 400-mile trip. “We do a lot of trekking and riding ourselves and we were just talking one day and Esther said she would love to trek from the top of Ireland to the bottom and I said I would love to do the same. So we just decided we would do it for some charities. We had personal experience with the hospice and family and friends treated there, then obviously we love our own horses and Forgotten Horses Ireland do a lot of good work and we wanted to support them and then Animal Haven Animal Rescue, (AHAR) are based in Kerry and they do a lot of work for every type of animal, all over the country,” Amy explained. Selecting charities that are geographically spaced across the route is just a fortuitous coincidence, according to the women. “Esther knows Roz that works in Forgotten Horses and we did a bit of research online for charities in Ireland. With Facebook we have been able to keep up to date with different charities, and we knew about the work these particular ones do so it is just pure coincidence we picked ones at the beginning, middle and end of the route. It has worked out very well for us though,” Amy outlined. “We planned our trip to hit a lot of main towns because we are doing bucket collections, trying to raise money, but if anyone missed us we have an online donation page set up which can be accessed on our Facebook page ‘From the Tip to the Top of Ireland’. People can donate by credit card or by Paypal,” she added. Amy and Esther, along with Holly and Oreo, will be at the family fun day in Labane this Sunday. “People can come along and meet us and see the horses. We will still be collecting for the charities and will have the two horses for people to come and meet. People will get the chance to see that these are just two ordinary horses but they can do the extraordinary. We will be there if anyone wants to come along and chat to us too,” said Amy. “They had two events running, a dance on Friday night but we knew we couldn’t make that. We were able to work it though so we would start back for Malin on Saturday and then on our way back we could stop in Galway. We are bringing the horses back in a lorry, it is following us all the way. We are really looking forward to the day in Labane and it will be a nice break for the horses too,” she added. The family fun event will also include pony rides, games, stalls, a model aircraft display, and a dog show. It begins at 2pm and ends at 6pm.